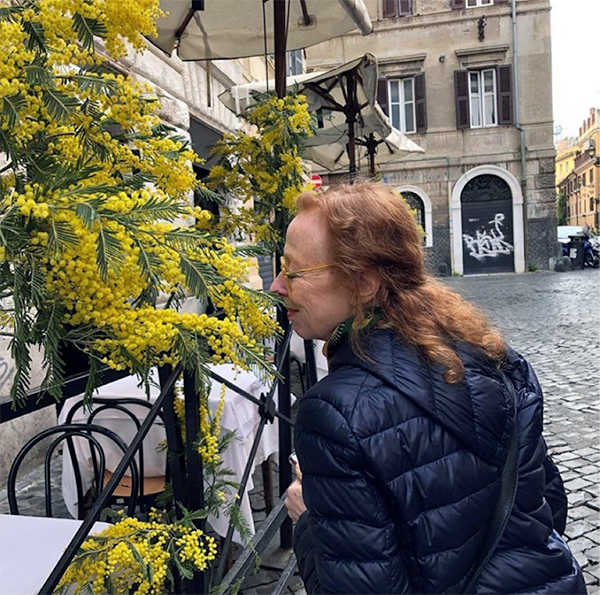 Just a few weeks ago I was tagging along with my friends, Melissa Clark and Elizabeth Minchilli, in mimosa-full Rome where they were presiding over an offal tour. I, the vegetarian, was the unlikely interloper. But there was at least one afternoon when I held forth to the group about natural wine. I was relieved I didn’t have to pair anything with something like nervetti salad (tendon), or sautéed fallopian tubes, but tell me the preparation, give me a whiff, and I know I can do a credible job. A funny story. 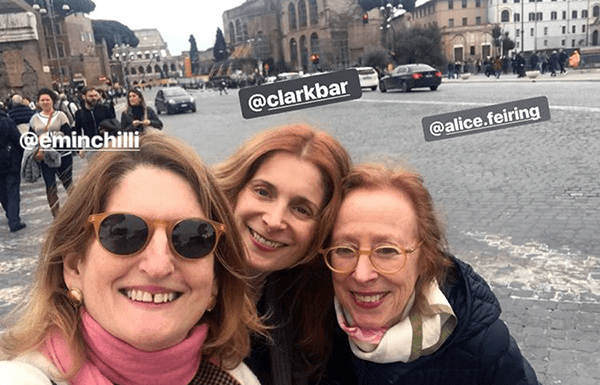 So after the nervetti salad, E and M and I were having a coffee in Trastevere. A friend of Elizabeth’s came over to the table and saw the wine I had just bought at the best natural wine shop in Roma, Les Vignerons. E’s friend told us where it was from (thank you) and to make sure to shake it up before drinking because it’s a cloudy bottle. Right. I may have been there to get in some girl time with my girls, but I did taste around a bit, sneaking in two great visits and found several wines not imported into the USA which are lovely. (Look out for them in the next few weeks.) One afternoon while the others were making pig stuff for their lunch, I headed out with Giampiero Bea in Umbria. I had promised for twenty years to return. I finally made good on the threat. Bea is one of the co-founders of the non-hipster but high quality wine fair ViniVeri, one of my favorites. In addition, depending on how you look at it, Bea was either the first of the naturalistas or the last of the traditionalists in what became a little Napa Valley enclave, Montefalco. While he has a reputation of being a zero/zero guy he is not dogmatic about adding sulfur, though additions are always low. The Bea wines are unapologetically high in alcohol, often show a bit of volatility and also often hit a transcendent moment. We immediately zoomed off to see his Trebbiano Spoletino. Planted a meter or so away from sturdy old trees they lean into it and up to the top branches in gorgeous dependency. 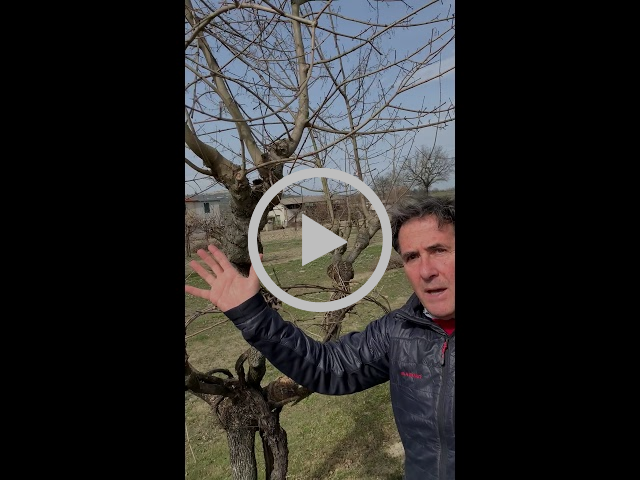 Giampiero hunts in the countryside to find the remaining examples of this old viticulture in back yards. Then he pleads with the family to let him pay for them not to chop them down. Time flew. 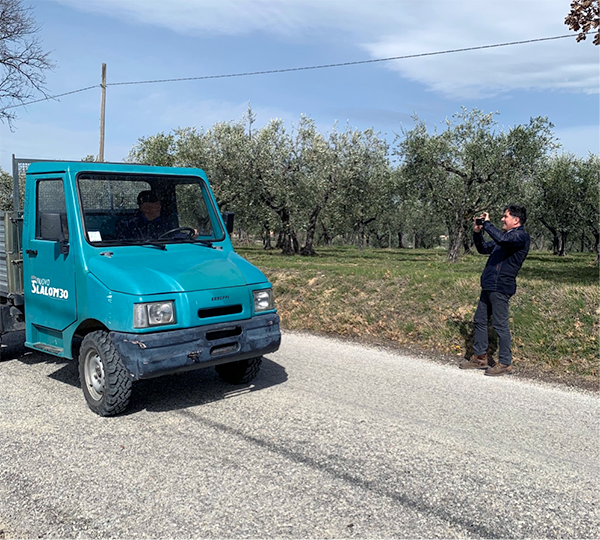 We headed back to the winery and on the way we bumped into Giampiero’s dad, Paolo, still chugging along with grace at 92. In a move that told me so much about the father-son relationship, he jumped out of our car and just had to take a picture of Pop. The last time I visited was long before the new winery. It’s pretty classy and the grape drying room was just stunning. Many of the grapes drying out were from those trebbiano vines—destined for my favorite of his wines, the skin contact Arboreus. Sagrantino and trebbiano grapes left to dry for the wines. Some dessicated trebbiano head to the Arboreus. Months later they were still juicy and delicious. If you have a chance to get the 2015, in fact, I believe you’ll be happy. And with that, here’s the latest issue. Happy Spring!